Above: Walking with my parents, Ioannis and maria, and my wife, Ekaterina. 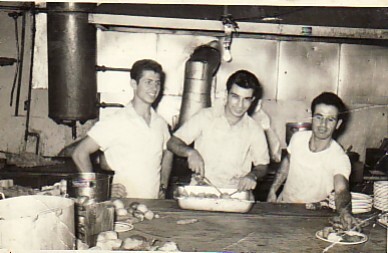 Above: Working in the kitchen of the Regent Cafe, owned by Panagiotis Moutzouris and Georgios Tragakis at the time. L-R: Panagiotis Papapandos, myself and Ioannis Zaloumis. 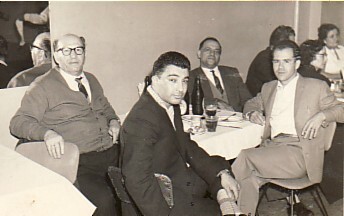 Above: Representing the Mytilenian Brotherhood of Sydney at a social function. L-R: Aristides Asproloupos (President), myself (Treasurer) and Haralambos Giannakis (Secretary). 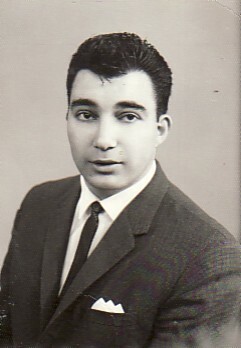 For many years, Circa mid- 1950's. Above: With my fiance, Ekaterina Hiotelli, at our engagement party. 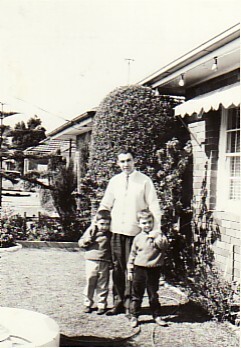 Above Right: With my sons, Dimitrios and Ioannis. 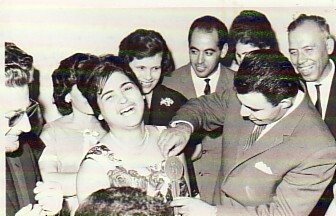 Above and Above Right: Two photographs from functions of the Mytilenians from Australia Association in Mytilene, Lesvos. 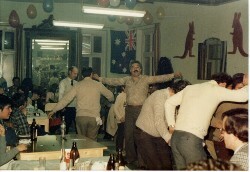 On the left, I am dancing (middle) in our hall- decorated with the Australian flag and kangaroos. 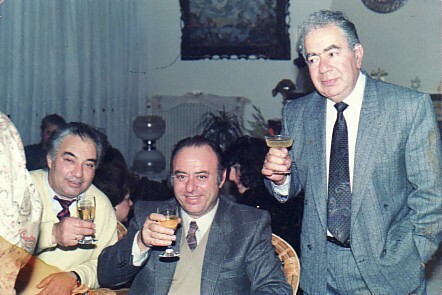 On the right, I am with our treasurer, Panagiotis Hatzigiannakis (middle) and New South Wales Parliamentarian, Takis Caldis (right), who was visiting Mytilene at the time. I served as President of our Association for over twenty years, where we enjoyed very successful functions, which were often attended by Australia's Ambassador and/or Consul General.